LONDON (AP) — Britain’s main opposition leader sparked a political furor Wednesday after he was accused of calling Prime Minister Theresa May a “stupid woman” in the House of Commons. 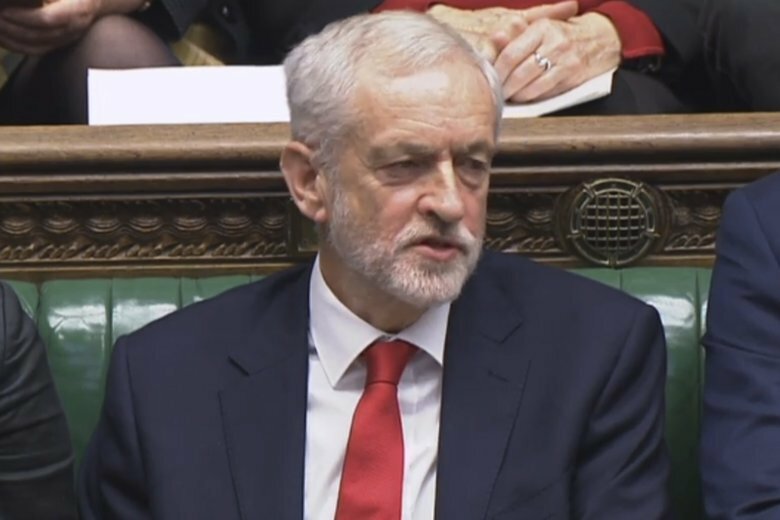 Labour Party leader Jeremy Corbyn was caught on camera appearing to mutter the insult during the prime minister’s weekly question-and-answer session. The always-lively session was even more heated than usual, as lawmakers’ frustrations and divisions over Brexit boiled over into raucous shouting and personal jibes. Britain expected to leave the European Union on March 29 but lawmakers from many political stances are against May’s Brexit plan. Conservative legislators yelled “Shame!” and “Disgraceful!” at Corbyn after the alleged jibe. The incident came as Britain’s Parliament attempts to end bullying, abuse and sexual harassment. Earlier this year, a cross-party working group reported that one in five parliamentary workers had experienced or witnessed sexual harassment in the previous year. It’s not the first time a male political leader in Britain has been accused of using sexist language. Wednesday’s incident also has echoes of Donald Trump branding Hillary Clinton a “nasty woman” during the 2016 U.S. presidential campaign. As British media outlets enlisted lipreaders to try to determine what exactly Corbyn had said, actor Rob Lowe was among those who offered their opinions on social media. “FYI- I have to say, I saw Jeremy Corbin call the Prime Minister a “stupid woman” with my own eyes watching on @SkyNewsPolitics,” Lowe tweeted.